IATA, the trade body comprising 240 airlines worldwide, has finally acknowledged the need for a global market–based measure (MBM) to reduce aviation’s contribution to climate change. IATA called on their airline members to encourage their governments to agree at this year’s ICAO Assembly on a global carbon offsetting measure to take effect in 2020. However, IATA only endorses such a global scheme ‘as opposed to a patchwork of unilateral national and/or regional policy measures’. Environmental groups working on aviation emissions said though the IATA statement is welcome, rather than their usual position that better air traffic control, better planes and biofuels alone can solve the problem. However, it kicks the ball in the long grass, until after 2020, and sets out a string of unworkable conditions. It rules out the EU ETS as a stepping stone, as well as the raising of revenues, and impacts on traffic volume, which are inherent to any market-based measure. It also relies solely on out-of-sector offsets rather than real emissions reductions within the aviation sector itself. It merely compensates these emissions through investment in reduction projects in other sectors. The International Air Transport Association (IATA), a trade body comprising 240 airlines worldwide, today finally acknowledged the need for a global market–based measure to reduce aviation’s contribution to climate change. Link IATA called on their airline members to encourage their governments to agree at this year’s International Civil Aviation Organisation (ICAO) Assembly on a global carbon offsetting measure to take effect in 2020. Not all the elements offered in IATA’s resolution will fully address aviation’s contribution to climate change, the NGOs cautioned. Our colleagues at Transport & Environment and Aviation Environment Federation have issued their own comments on the resolution, as has NRDC’s Jake Schmidt. Aviation industry leaders meeting this week have been urged to endorse measures to cut emissions from airlines and take a step towards agreeing a binding global deal to tackle the industry’s carbon footprint. A coalition of 11 environmental groups, including WWF, the Environment Defense Fund, the Natural Resources Defense Council (NRDC), and Union of Concerned Scientists, have written to Tony Tyler, director general and chief executive of trade body the International Air Transport Association (IATA), warning “there can be no room for further delay”. The industry’s efforts to reduce emissions through technical and operational measures are laudable, but insufficient, the groups say in the letter, which was also signed by the Sierra Club, Transport & Environment, the Aviation Environment Federation, and Carbon Market Watch. The groups are calling on IATA members meeting this week in South Africa to support proposals for a market-based mechanism for reducing emissions, such as plans to introduce a global cap-and-trade system. They say the development of some form of carbon pricing mechanism for airlines would not only tackle the three per cent of global climate pollution aviation is thought to contribute, but would also tackle concerns over fragmented, regional emissions policies springing up, which carriers fear will push up compliance costs and ticket prices. The letter says that by endorsing a market-based measure, IATA can send a strong signal to the International Civil Aviation Organisation (ICAO), the UN-body that is due to meet later this year to resume talks on a global emissions deal. “International efforts to address aviation’s contribution to climate change are at a cross-road,” the letter reads. “Airlines can help countries secure agreement this year to implement a global market-based measure to significantly cut aviation’s greenhouse gas pollution or they can choose to let others act domestically to control aviation’s pollution. Signs are emerging that IATA is close to doing just that. Last week, Jos Delbeke, director general for climate at the European Commission, told news agency Bloomberg he expected to see progress at the meeting. The pressure is building on ICAO to approve one of the four proposals for managing emissions that it is currently considering: offsetting, offsetting with a revenue generating mechanism, a cap-and-trade scheme, and a fuel levy with offsetting. After an ICAO meeting towards the end of last year, the EU suspended its regulations charging foreign airlines for carbon emitted during flights in and out of its airports in a move designed to head off the risk of a trade war with other jurisdictions and help expedite a global agreement at this year’s conference that can then be implemented at its next summit in three years’ time. In theory, the charges will snap back into place if progress is not made at ICAO’s conference this year, but Brussels will inevitably face calls to postpone the re-introduction of emissions charging indefinitely given the frenzied lobbying and threats of retaliatory action seen prior to the regulation’s introduction last year. The US and China in particular expressed anger at the EU’s standalone policy, with Congress approving a bill expressly forbidding its airlines from participating in the EU’s emissions trading scheme. Beijing, meanwhile, allegedly froze a multi-billion euro Airbus order in protest, only completing the deal once the rules were suspended. As such both IATA and ICAO are aware that significant progress towards some sort of international agreement will have to be made in the coming months or else the risk of a full-blown trade war is likely to rematerialise. Cape Town – The International Air Transport Association (IATA) 69th Annual General Meeting (AGM) overwhelmingly endorsed a resolution on “Implementation of the Aviation Carbon-Neutral Growth (CNG2020) Strategy” (pdf). Environment will be at the top of the agenda for the 38th ICAO Assembly in September. The aviation industry urgently needs governments to agree, through ICAO, a global approach to managing aviation’s carbon emissions, including a single global MBM. IATA member airlines agreed that a single mandatory carbon offsetting scheme would be the simplest and most effective option for an MBM. “For governments, finding agreement on MBMs will not be easy. It was difficult enough for the airlines, given the potential financial implications. Bridging the very different circumstances of fast growing airlines in emerging markets and those in more mature markets required a flexible approach and mutual understanding. But sustainability is aviation’s license to grow. With that understanding and a firm focus on the future, airlines found an historic agreement. This industry agreement should help to relieve the political gridlock on this important issue and give governments momentum and a set of tools as they continue their difficult deliberations,” said Tyler. Aviation is the first industry to suggest a global approach to the application of a single MBM to manage its climate change impact. 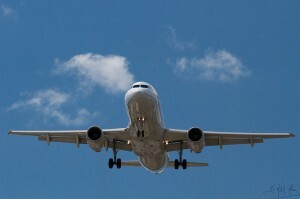 This keeps aviation in the forefront of industries on managing carbon emissions. It was also the first to agree global targets. These are: improving fuel efficiency by 1.5% annually to 2020, capping net emissions with CNG2020, and cutting emissions in half by 2050 compared to 2005. And it was also the first to agree on a global strategy to achieve them. An MBM is one of the four pillars of the aviation industry’s united strategy on climate change. Improvements in technology, operations and infrastructure will deliver the long-term solution for aviation’s sustainability. “Today’s agreement focuses on a single global MBM as part of a basket of measures. A single MBM will be critical in the short-term as a gap-filler until technology, operations and infrastructure solutions mature. So we cannot take our eye off the ball on developing sustainable low-carbon alternative fuels, achieving the Single European Sky or the host of other programs that will improve aviation’s environmental performance,” said Tyler. An MBM should be designed to deliver real emissions reductions, not revenue generation for governments. The principles agreed apply to emissions growth post-2020. “Airlines are delivering results against their climate change commitments. For example, we are on track to achieve our 1.5% average annual fuel efficiency target. We need governments to be serious partners as well. Developing an MBM must not become an excuse for revenue generation by cash-strapped governments, or for avoiding incentivizing investments in new technologies and sustainable low-carbon alternative fuels,” said Tyler. Posted: Tuesday, June 4th, 2013. Filed in Climate Change News, General News, Recent News.